Every kitchen is home to a few special ingredients. We all have them around lying in our fridge and cabinets! For those who don’t, it’s easy to find them at a local spice shop or supermarket. 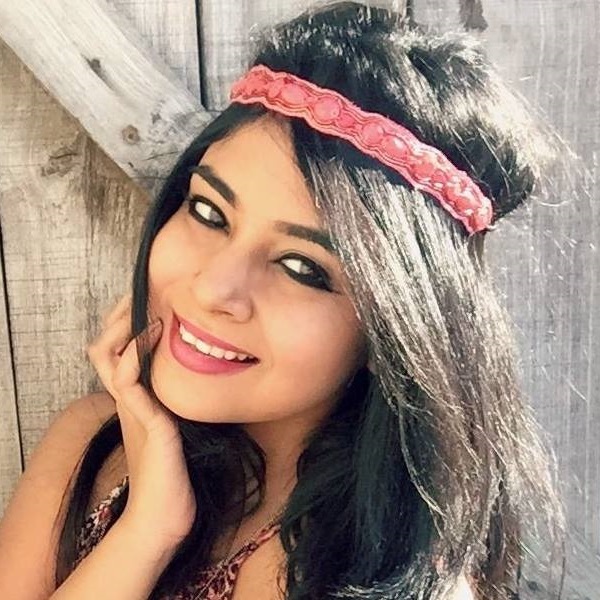 You don’t need to buy any hair care products, when you can make these hair masks at home. If you are suffering from a case of hair fall, it means that your locks are undernourished and need a good supply of vitamins. When that happens, make sure you give any of these 10 *magical* home remedies for hair fall a shot. 1. Onion Juice For The Win! 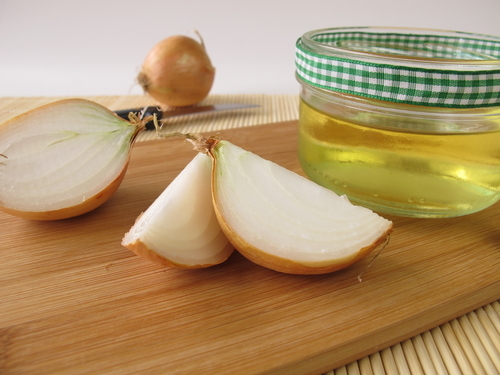 Did you know that onion juice provides nourishment to hair follicles? If that’s not awesome, you’ll be surprised to know that it also has antibacterial properties. This not only helps to keep your scalp away from getting an infection, but also prevents hair from falling. Step 1: Chop 1 onion into fine slices. Step 2: Grind them till you’re left with the juice. Step 3: Pour the juice into a bowl and add 2 tablespoons of honey. Step 4: Add a couple of drops of rosewater to the mix. Step 5: Stir well and apply from root to tip. Step 6: Shampoo and condition your hair after. No of times: Once every alternate week. Hair that lacks nourishment and moisture is more likely to get brittle and break. What you need in your life are egg whites. These babies will protect your hair from root to tip. Say goodbye to hair fall! Step 1: Crack one egg and separate the white from the yolk. Step 2: Pour some olive oil and give it a good whisk. Step 3: Use a brush to apply the gooey liquid on your scalp and hair. Step 4: Wait for about 45 minutes till the mask hardens. Step 5: Wash it off with cold water and shampoo. No of times: Once every week. 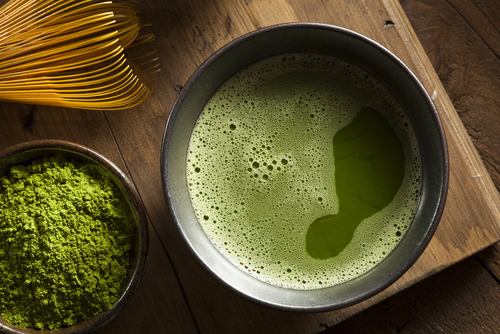 As much as green tea helps calm your nerves, it does the same for your beloved strands. While it stimulates your hair follicles, it also helps promote hair growth. You’ve got to try it to believe it. Step 1: Take a cup of hot water and dip a green tea bag into it. Step 2: Allow the tea to brew and the water to cool down. Step 3: While you’re taking a shower, make sure to rinse your hair with this water. Step 4: Leave it to soak for about 20 minutes in your hair and wash it off after. No of times: Four times in two months. Rich in vitamin E, coconut milk makes a delicious treat for your locks. Not to forget it also contains minerals and potassium that prevent hair from falling and makes follicles stronger with every rinse.. Step 1: When your hair is dripping wet with water, pour some coconut milk over your mane. Step 2: Wrap it up using a towel and leave it on for 30 minutes. Step 3: Unwrap and wash your hair later using mild shampoo. Step 4: Condition and pat dry using a towel after. No of times: Twice a month. 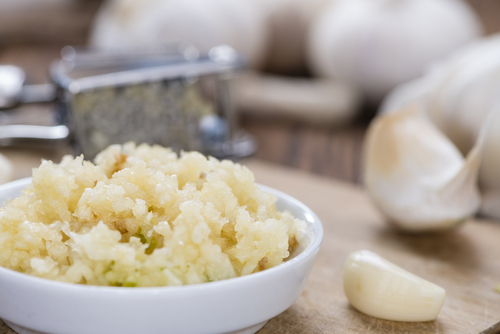 Grated garlic is good for your hair because it shows high content of minerals like calcium, zinc and sulphur. All these are essential for proper hair growth. The pods are also antimicrobial and help kill bacteria causing germs. Step 1: In a boiling water bowl, toss some crushed garlic. Step 2: Pour some natural olive oil into the hot water. Step 3: Leave it to cool for about 4 hours in the fridge. Step 5: Rinse and wash your hair with fresh water after. No of times: Thrice every alternate week. 6. Aloe Vera Gel To The Rescue! If there’s one ingredient you can trust, it’s aloe gel. It eliminates dandruff like a pro and provides deep nourishment to both scalp and hair. You know what happens to happy, healthy hair, right? Hair fall plans kaput! Step 2: Use your palms to rub the gel on dry hair. Step 3: Massage your scalp in circular motion. Step 4: Wash your hair with chilled water after. No of times: Twice a week. 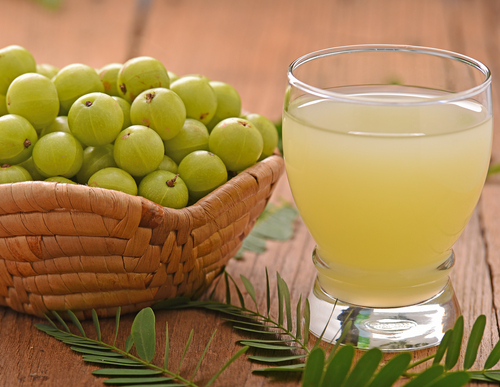 Popularly known as the ‘Indian gooseberry’, amla is abundant in vitamin C. It helps build collagen, improves hair’s texture and makes it smooth and baby soft! What more could any girl ask for, right? Step 1: Crush a few amlas and extract the juice from them. Step 2: Add a few drops of lemon and virgin coconut oil. Step 3: Use your index finger to stir all three ingredients. Step 4: Apply the mix to your hair and wait for about 20-30 minutes. Step 5: Wash it off with lukewarm water. This remedy seems rather odd, but you know what’s epic? It actually works! Curry leaves help moisturize hair and encourage hair growth. You’ve got to try it to believe it. Step 1: Boil some curry leaves in a boiler. Step 2: Leave them to cool in the fridge all night. Step 3: Wash your hair with cold water after. Step 4: Don’t forget to apply a conditioner for smooth hair. 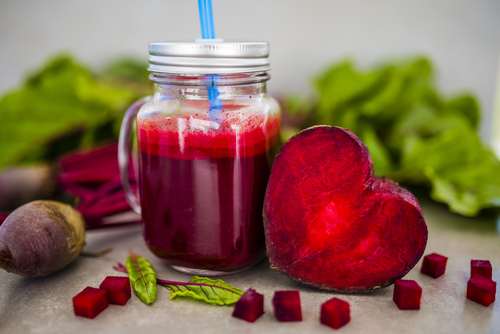 Food for thought: beetroot may look tiny, but it contains protein, Vitamin B, Vitamin C and potassium. Using it on your hair is bound to make it get a glossy and healthy finish. Step 1: Peel a boiled beetroot and mash it up to get its pulp. Step 2: Apply the raw maroon pulp straight to your hair. Step 3: Leave it to soak and don’t touch your hair for a good 20 minutes. Step 4: Wash with lukewarm water after. Packed with probiotics, yoghurt helps promoting hair growth. Making it grow stronger and longer by the inch, you’ve got to give this yummy treat a fair chance. Step 1: Take a bowl filled with unflavoured yoghurt. Step 2: Add 1 tablespoon of honey and 1 teaspoon of lemon juice. Step 3: Stir well and apply to your hair. Step 4: Wait for 40 minutes till the mask hardens. Step 5: Wash your locks with warm water once you’re done.